Once Upon A Memory Crimson 6730 15 by Holly Taylor for Moda Fabrics. 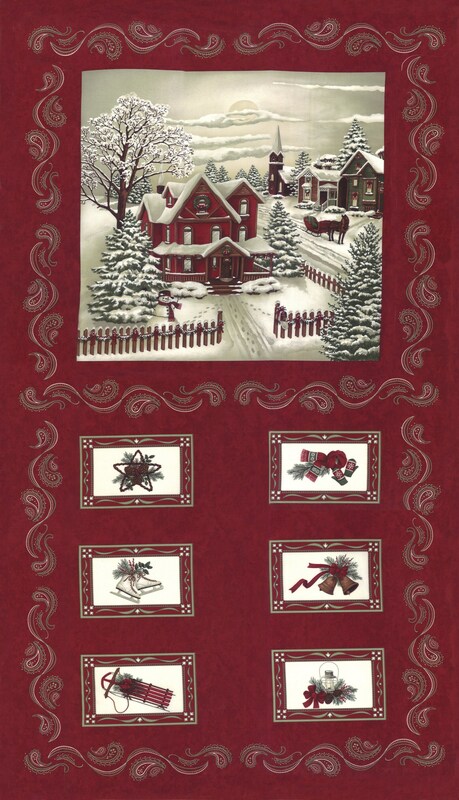 This Christmas collection by Holly Taylor is classic, elegant, and absolutely wonderful. Soft yet bold colors include eucalyptus, crimson, amber, bark, and snow and the prints are a mixture of snowflakes, vines, pine needles, paisleys, small geometrics, and tonals.